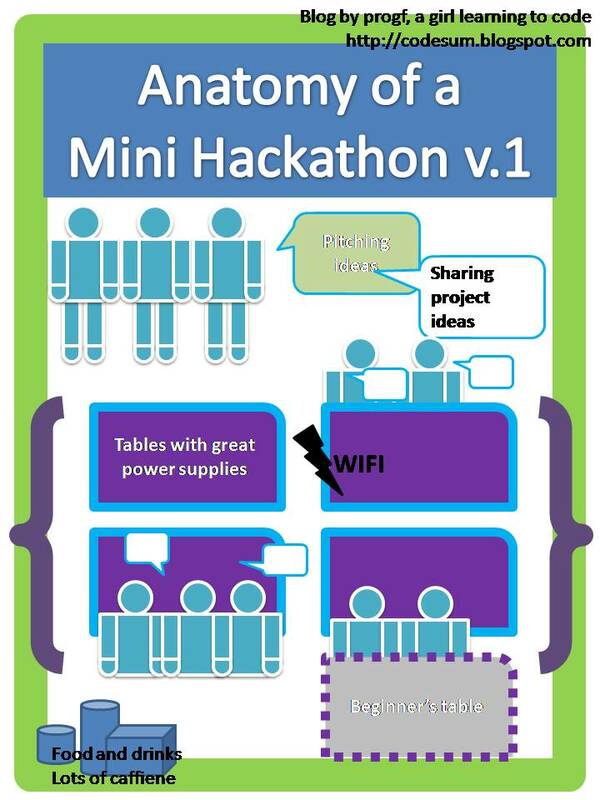 Silicon Vanity | Tech lifestyle in Silicon Valley: Anatomy of a Hackathon! You can read about me on VentureBeat and the Crunchies award! Currently there are 2 comments and 70+ twitter reactions. With the support of my first two angel-referees, I attended my very first hackathon. Here's a diagram with it explained. Please note that this is only version one. I will keep updating this. 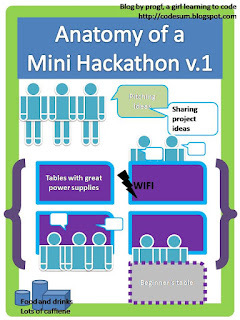 The grand conclusion is that there are totally beginner friendly hackathons, and it is a lot of fun, despite at times it may be intimidating to be with a roomful of experts. Endless food/drinks. I learnt that unlike writing an essay, coding doesn't flow with alcohol. I quickly switched from one sip of beer to a doubleshot Starbucks. In my newsletter to angel-referee fund contributors, I will detailed my findings in newsletters~ The goal is to have something to share with the public but also some perks for the contributors that are exclusive. CodingDojoCo - HTML & CSS in two days!